What are benefits of M&A in today's competitive world? IN BUSINESS, you can't afford to stand still. Whether you do it organically through internal change, or by some sort of partnership, acquisition or a merger with another company, you have to change and grow to remain competitive. As you reflect on your company's strategic plan - or as you resolve to create one - here is some food for thought: Many people, myself included, have long believed that acquiring a stake in another likeminded company brings unity, diversity, achieves economies of scale and synergies, offers the potential to deliver far more integrated offerings, and enhances technology offerings to customers. Acquiring a stake in a like-minded company brings with it significant improvements to business processes and in the long term makes South Africa and the continent a great investor destination and thus attracts foreign direct investment. 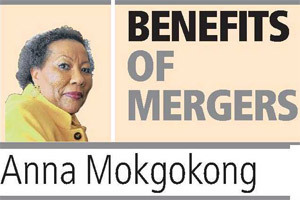 Lest we forget that mergers and acquisitions have been a way of life for years. Internationally, beer lovers continue to salivate over the merger between Anheuser-Busch InBev (AB InBev) and SABMiller. Analysts say the result of the deal would be a company that will control more than 30 percent of the world beer market, before any divestments. 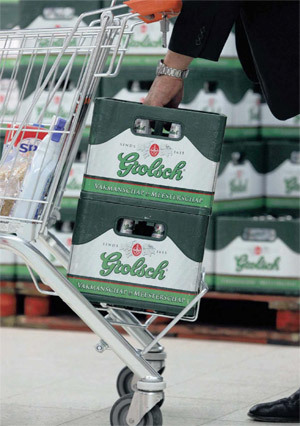 Belgium's AB InBev - the world's biggest brewer - makes Budweiser, Stella Artois and Corona, while Britain-based SABMiller - the number two player in the market - brews Peroni, Grolsch and Pilsner Urquell beers. Analysts say a merged group would have a market value of around $275 billion (R4.52 trillion), and would combine AB InBev's dominance of Latin America with SABMiller's strong presence in Africa, both fast-growing markets. Here at home our company's experience is a case in point. Sanlam received approval to partner with us, Afrocentric Health (AH), through the acquisition of a 28.7 percent stake (27 percent of Medscheme) worth R700 million, is its largest transaction in South Africa since the acquisition of African Life in 2005. AH is a wholly-owned subsidiary of Afro Centric Investment Corporation Limited (ACT). AH owns 94.1 percent of AfroCentric Health Limited, which has a 100 percent shareholding in Medscheme Holdings Limited, South Africa's largest health risk management services provider and the third-largest medical scheme administrator. Other owners choose to acquire competing companies in a clear bid to eliminate competition. These owners enjoy greater market share as...a result. The Afrocentric Health-Sanlam deal complements our retail offering in the South African market and establishes our footprint in the rest of Africa. It also positions and helps us gain access to Sanlam's extensive distribution network along with a suite of financial products. We expect the partnership to positively position us for further growth. For us Sanlam is a suitable partner with the necessary scale and management expertise to add value to our South African business and brings a medical aid solution to clients. The partnership offers an excellent platform for further international expansion. However, I know that those who bought and those who sold the question has always been: "Is bigger better?" Acquisitions have always seemed to be that bigger is better where the right synergies exist between the businesses being combined: overhead savings, larger critical mass, the acquisi- tion of new talent and customers. All good reasons for business combinations. Participants and proponents of mergers, consolidations and acquisitions point to benefits such as economies of scale, enhanced efficiencies, accelerated growth, and expanded business opportunities as the rationale behind the moves. So what are actually the benefits of mergers, acquisitions or partnerships in business? What can we learn from the Afrocentric Health-Sanlam deal, the AB InBev and SABMiller and many others? One way to settle the argument is to look at the impact of acquisitions or partnerships on innovation. The capacity to invent new products and processes in even the most mundane businesses is what keeps firms ahead. There are many other benefits to growing through acquisition. Bigger companies have more leverage with vendors and can also offer greater opportunities to employees. But in addition to size, owners acquire other companies to increase the value of their own companies. A well-chosen and well-executed acquisition should generate greater earnings for your company. Owners acquire companies to diversify their product lines. The acquired company adds variety to the mix of goods or services already offered. Other owners choose to acquire competing companies in a clear bid to eliminate competition. These owners enjoy greater market share as an immediate result of the acquisition. Similarly, some owners choose to acquire companies after they have worked together as strategic allies. This approach enables buyer and seller of a stake to preview the anticipated synergies of working together and to fully understand the other's customer base, employees and culture. Finally, many acquisitions are made to expand the buyer's existing geographic reach. In short, there are two primary reasons for acquiring companies: size and value. As my colleague, Ian Kirk, the Sanlam Group chief executive, says: "This (transaction) confirms our commitment to also pursue growth initiatives in South Africa, while growing our presence in other emerging markets." We at Afrocentric Health and our other group of companies such as Medscheme, Aid for Aids, Pharmacy Direct, Bonitas Marketing, and others understand that health-care reform in South Africa is not going to be a smooth ride, but we also understand that acquisitions such as ours is exactly what the country needs to achieve universal health care coverage. In today's competitive business world economic downturns, acquisitions and partnerships are a good strategy, when applied carefully and cautiously, to grow business strategically. As illustrated by our deal with Sanlam, it is particularly appropriate when there is an excellent growth opportunity and the organisation lacks the capacity internally to pursue the opportunity effectively However, careful integration is critical. It is important to have a mechanism to integrate companies successfully and a technology to create fusion products. It comes down to how a company brings complementary business strategies together. One way to settle the argument is to look at the impact of acquisitions on innovation. In some cases, the capacity to invent new products and processes in even the most mundane businesses is what keeps firms ahead. To succeed, companies need to look at complementary product functionality and how different features can be fused into a single product, or have application across a broad market. To add to the size and value proposition of mergers and acquisitions, in general, acquisition should lead to at least one of two major potential benefits for an organisation: better market position which is the primary rationale and significant economies of scale. For me, competition from all corners of the world and easy entry by new rivals mean that much of whatever benefits come from acquisitions and partnerships will flow to consumers in the form of better service. Also, strategic acquisition is a tested and important vehicle for growth and development. Whether your company has done zero acquisitions, one acquisition, or 100, pay close attention to partnerships, consolidation of services by likeminded companies in the markets in which you operate and make certain you are benefiting from it. The knowledge you gain could come in handy before too long. As baseball legend Yogi Berra once said: "It's amazing what you can observe just by watching." And as you develop your strategic plans for 2016 and beyond, make certain they are executed and carried out. As Yogi Berra also said: "When you come to a fork in the road, take it." Dr Anna Mokgokong is executive chairperson of Community Investment Holdings and Afrocentric Group which owns healthcare assets such as Afrocentric Health, Medscheme, Helios, Allegra and Aid for Aids.